Come, Sign Up, Help the Horses and Have Fun Doing It!!!! 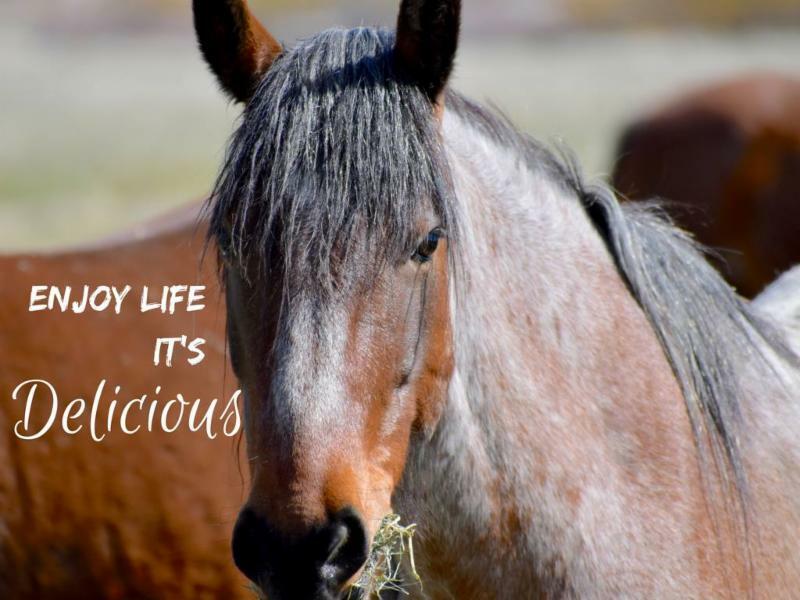 Thank you for following us and keeping up with the latest news regarding our beloved Virginia Range wild horses. One of our beautiful Virginia Range Mustangs!!! Spring has finally arrived in northern Nevada! With this beautiful weather comes opportunities to make a difference in our community!!!!! Are you ready to sign up for projects to benefit the wild horses of the Virginia Range? Join us at our monthly meeting - THURSDAY EVENING, APRIL 26TH AT 6:15 pm at the SOUTH VALLEY LIBRARY located at 15650 WEDGE PARKWAY in south Reno. These projects and many more opportunities are waiting for you this spring, summer, and into the fall!!! COME JOIN US - HAVE FUN AND MEET PEOPLE WHO ARE INTERESTED IN THE SAME THING YOU ARE!!!!!! On Sunday, May 20, 2018, come join us for a fun spring late afternoon gathering of great food, games, and fund raising!!!! 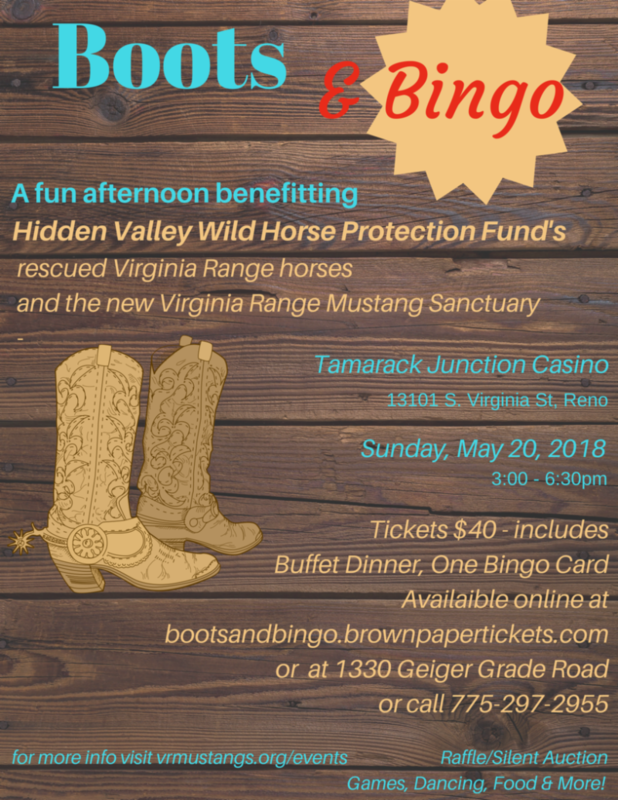 All funds received from this event will be allocated to the new Virginia Range Mustang Sanctuary where our herd will live, an adoption center will unite human and horse partners, and a training facility will transform our rescued wild horses and humans alike. We honor corporation and private sponsorships of this event. Your logo and name will be prominently displayed in the event program. Levels include $50 Bronze, $100 Silver, $250 Gold, $500 Platinum. We welcome your support in any amount! THANK YOU TO SOME GREAT FENCING VOLUNTEERS!!!!! A huge THANK YOU goes out to an amazing group of volunteers in Washoe Valley who have stepped forward to make a difference in their area. Their work is benefiting the wild horses that live and wander near the East Lake Boulevard community. Old fences have worn, been cut, broken, and fallen over. This small group of amazing people are giving their time to improve public safety and ensure the wild ones remain free on the range, the way it should be! We apologize if any names have been overlooked - your hard work has NOT!!!!! Thank You!!! !